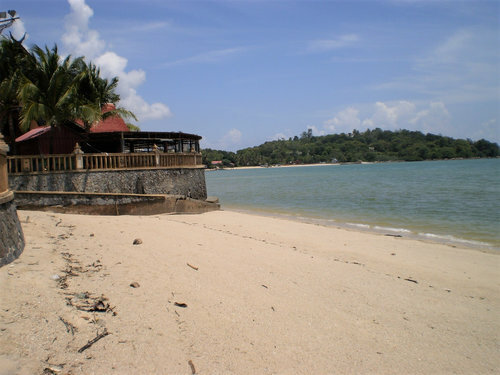 Shark Bay Beach is one of the most beautiful beaches in Langkawi and probably the most popular one with the tourists. 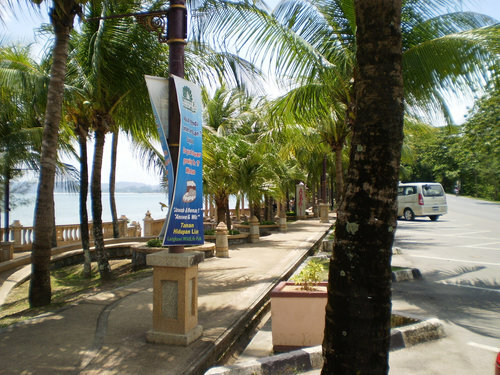 Teluk in Malay means bay and Yu means Shark. But such name is given because of few sharks made of stone that are on display at one side of the beach promenade. There are no real sharks here and the water is exceptionally calm. 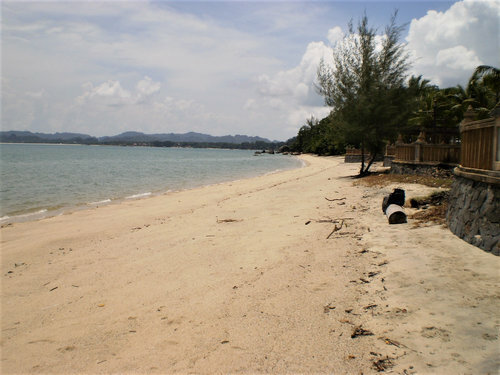 Shark Bay Beach is located on the north shore of Langkawi and between the Pantai Pasir Tengkorak beach on its west and the Pantai Pasir Hitam (Black Sand Beach) on the east. Although the beach is not too long and considered continuation of the Black Sand Beach (but without the black pigments on the sands), it has couple of entry points. The huts or cabanas are the first to get filled up by romantic couples. Although there is space for at least four in each of them, you can't spoil the privacy if two are seating there, but probably regret that why you didn't come earlier to get some respite from the scorching sun on a sunny summer day.